Shop, eat, or play – Setapak Central is abuzz with activity. With more than 200 stores, be prepared to get amazed! From unique stores and enticing eateries to thrilling entertainment options, there is something for everyone. Parkson, Econsave, MBO Cinemas, H&M – welcome to our exciting world where fun never ends. Come, enjoy a day full of delightful, enthralling experiences. See you soon! New Name, New Logo, Same Favourite Neighbourhood Hangout! 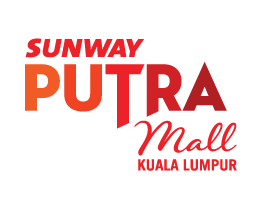 On October 5, 2015, KL Festival City re-opened its doors to its valued customers as Setapak Central. Explore the amazing shopping, dining, and entertainment options right at your favourite neighbourhood hangout. KL Festival City is now Setapak Central!